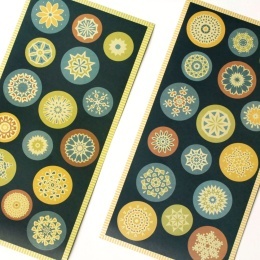 Exercise books featuring softcovers made from fine, colour printed cardboard in a choice of ten different patterns from the ALMA series. An especially loving detail are the matching printed labels on the front of each book. 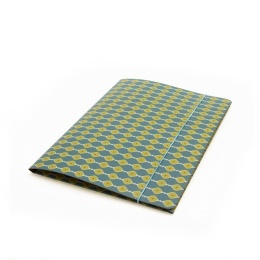 All our exercise books are handmade and come in the classic A5 format. Each book block is clamped bound and made from premium cream writing paper which complements delicately the soft brown cardboard on the back of the cover. 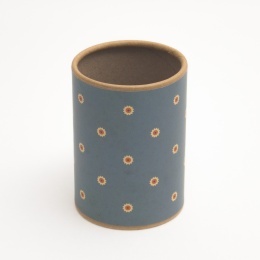 Decorative pen holders for your desk covered in patterned paper from the series JACKIE.